Xie Xiaoyan, China’s special envoy to Syria, recently visited Damascus to hold talks with the Syrian government and representatives of the opposition. During his visit Xie Xiaoyan met with Syrian Deputy Prime Minister Walid al-Muallem and other prominent government officials, as well as representatives of the Syrian opposition, in order to discuss China’s involvement in humanitarian operations in Aleppo, as well as other issues related to the ongoing conflict in the war-torn country. It should be noted that several months before, in August 2016, another high-ranking Chinese official – namely, Rear Admiral Guan Youfei, the man in charge of China's office for international military cooperation – also visited Damascus to meet with Syria’s Defense Minister Lt. General Fahd Jassem al-Frejj, effectively negotiating the deployment of Chinese military advisers to the country. Ren Yuanzhe, a professor at China’s Diplomatic Academy, told Sputnik China that Xie Xiaoyan's visit represents China’s desire to play a more constructive role in resolving the Syrian crisis. "Firstly, China may help to quickly get all sides to the negotiating table, as China believes that peace talks and political settlement are the only way to resolve the Syrian crisis. Secondly, China may offer its own ways to resolve this problem ‘on four tracks’: ceasefire, humanitarian aid, counterterrorism and political negotiations. 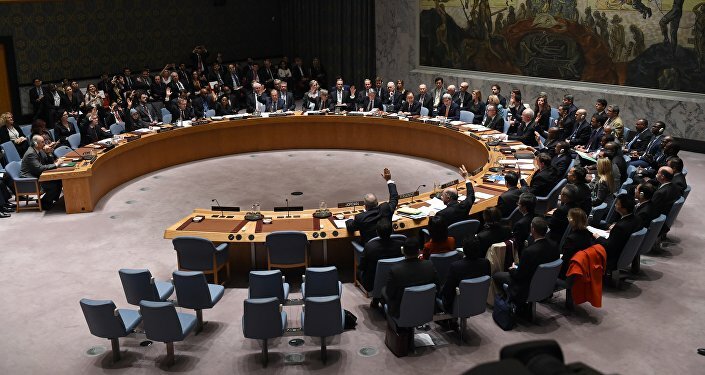 Thirdly, China will continue to support the UN’s lead role in resolving the Syrian issue. 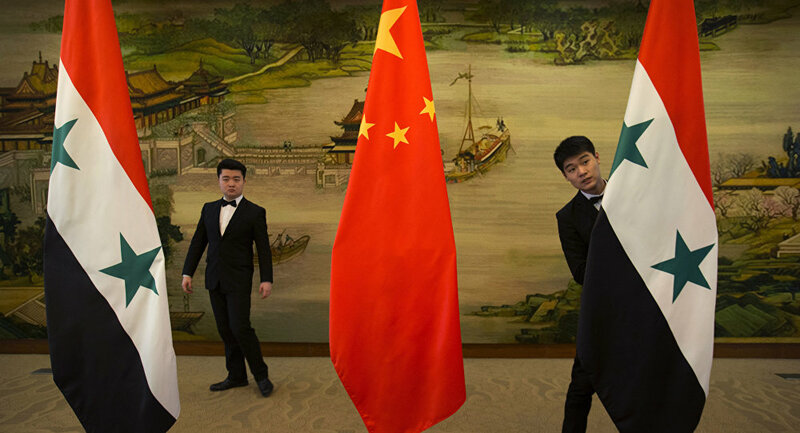 On December 5 China vetoed a resolution draft submitted by Egypt, New Zealand and Spain because it adopted a unilateral approach to the problem and ignored the interests of all sides involved. 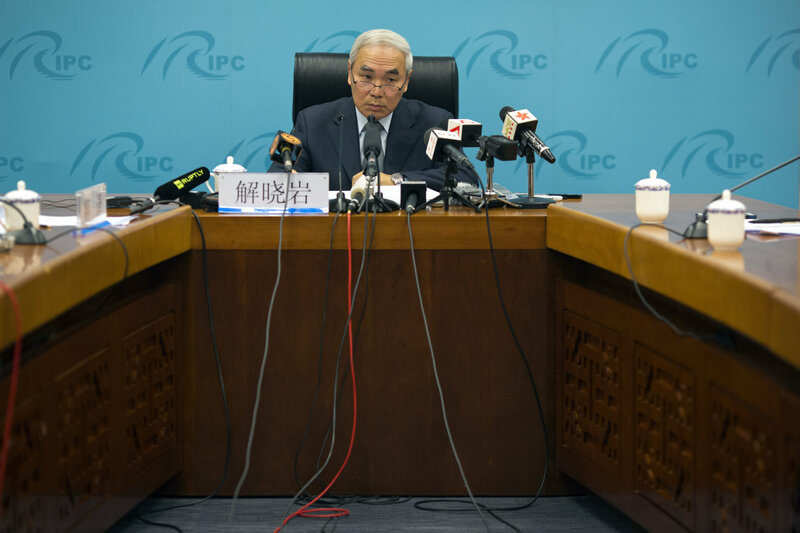 China hopes that the UN won’t attempt to divert certain countries from resolving this issue. Fourthly, China will continue to play an important role in counterterrorist operations, humanitarian aid delivery and the implementation of UNSC resolutions in Syria," the professor explained. It appears that Xie Xiaoyan’s mission was also meant to show the White House that China continues to support Damascus, even as the US and its allies persistently attempt to oust Syrian President Bashar Assad. At the same time, Beijing always seeks to ensure that its actions in Syria won’t endanger its partnership with Saudi Arabia and Qatar – China’s chief suppliers of oil and natural gas respectively, who also seek Bashar Assad’s downfall. Meanwhile, Azhdar Kurtov, political analyst at the Russian Institute for Strategic Studies, pointed out that the Chinese envoy’s objective was also to establish contact with the Syrian opposition and to properly assess the situation in the country. He pointed out that China has considerable economic and geopolitical interest in the Middle East and therefore pays considerable attention to the situation there. "China’s activity is Syria is also related to matters of security, because the activity of Daesh (ISIL/ISIS) terrorist group also affects the safety of China; it has already been confirmed that there are militants from China’s Xinjiang region fighting in Syria as part of the radical Islamist groups. Therefore, China wants this ‘boil’ lanced, because these militants may later use the connections and experience obtained in Syria to conduct terrorist activity in China," he said. It should also be noted that prior to visiting Damascus Xie Xiaoyan also made a stop in the capital of Lebanon – the country which now became a temporary home to thousands of Syrian refugees. It appears that during his stay in Beirut the Chinese envoy sought to clarify the role of Hezbollah movement in the Syrian conflict, and to express China’s appreciation of Lebanese authorities’ efforts to aid the humanitarian efforts in Syria.